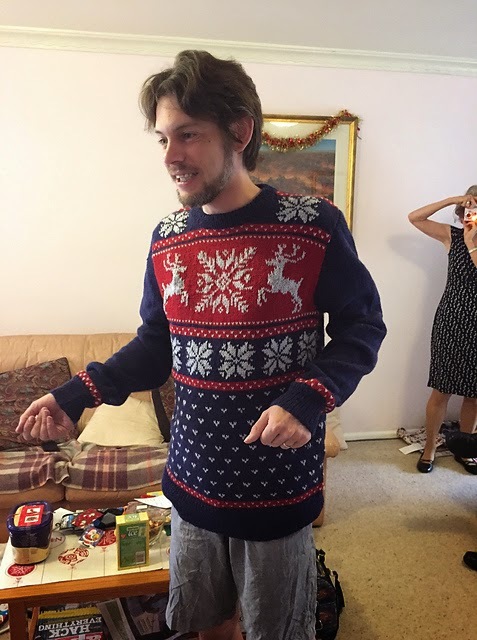 This year, my brother requested a Christmas Jumper. Despite it usually being super hot on Christmas Day! Of course I said yes. 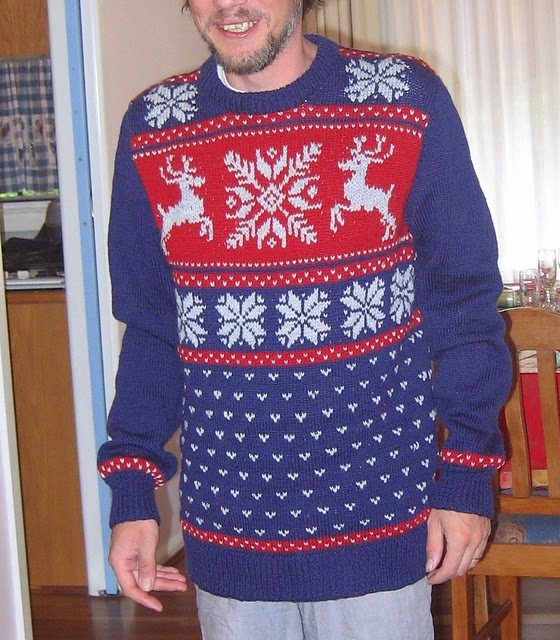 The pattern is just a regular old pieced jumper by Patons. 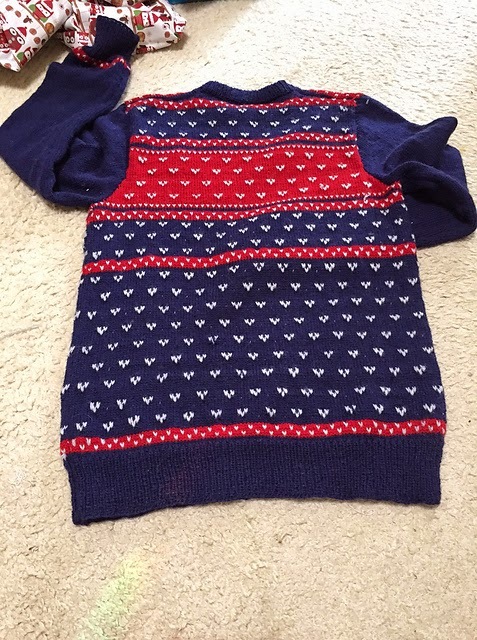 I have several pattern books from Patons from various decades, and compared two similar jumpers from the 1970s and 2000s... the pattern was almost exactly the same. 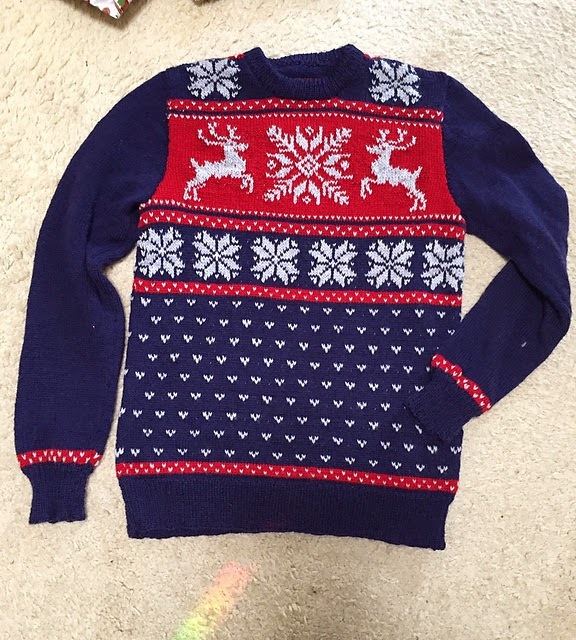 So you could use any Patons jumper pattern for this. 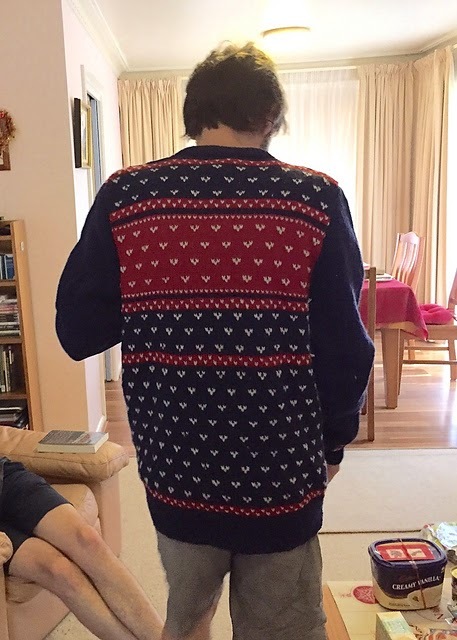 I measured my brother and decided on the size, but made it longer since he likes jumpers that way. 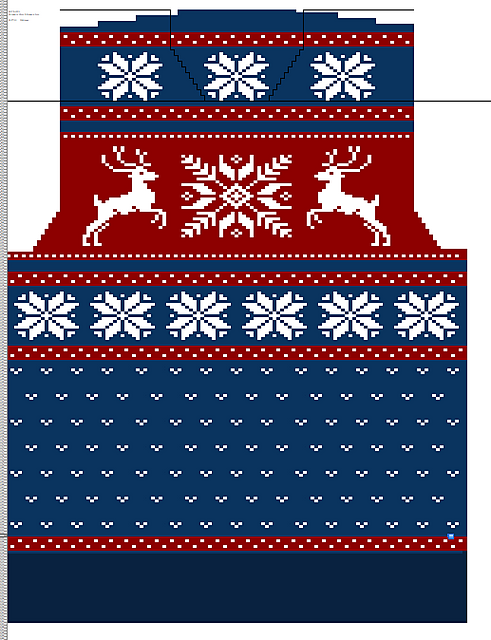 To make the fair isle design, I charted out the pattern in Excel and just coloured in! 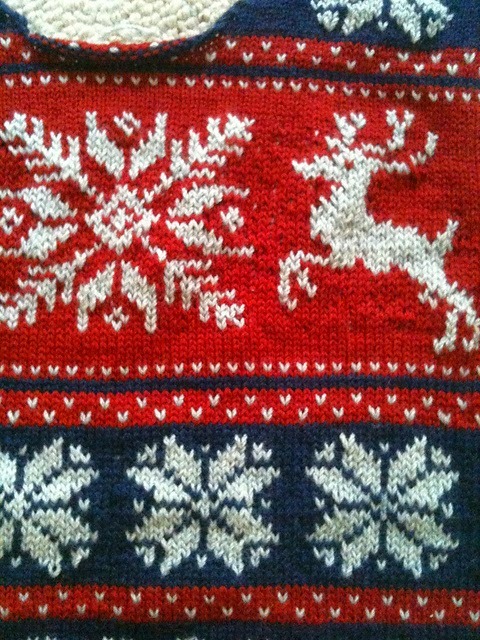 Since it is pieced, I had to do the stranded colourwork on the purl side too. Knit rows are read R-L and purl rows L-R. The back is just the little V design... 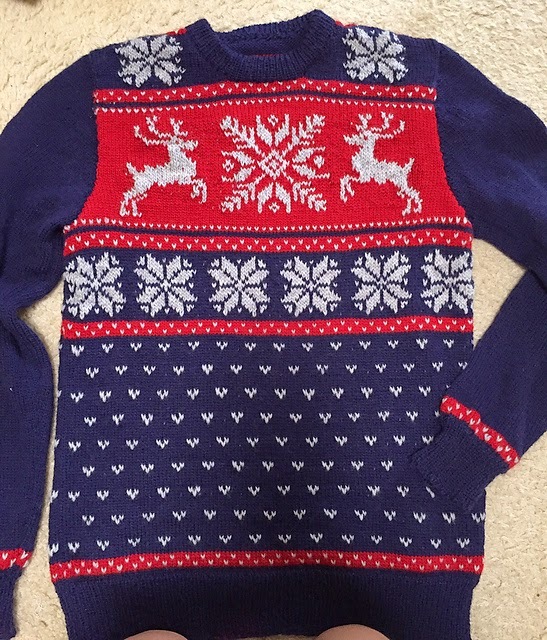 I had already done the front and never wanted to do another reindeer in my life. It took me right up until Christmas day to have this ready. I knit until the 22nd, then soaked it and blocked it on the morning of the 23rd.. and it took two whole days to dry properly! It was wrapped on Christmas morning! I wasn't too happy with how my stranding turned out... it's a little lumpy. Can you spot the differences in the reindeer? I literally only noticed after I'd given it and was looking at the photos... but there is something weird going on there. Most importantly, my brother loved it and wore it most of the day. Until it got too hot! 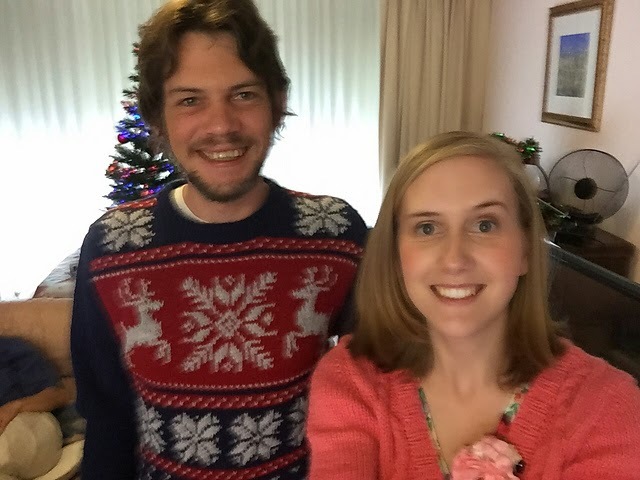 Apart from that, we had a lovely Christmas day. We ate turkey and ice cream plum pudding and played Bocce outside. 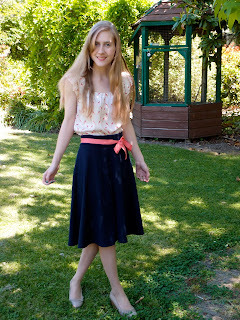 The weather was beautiful and it was the perfect Australian Christmas. So great! I just started trying colourwork and I'm not great at it yet. 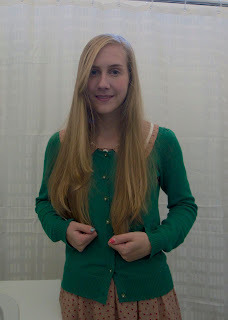 I think yours is really effective and I'm so impressed you designed the style yourself. Well done, I won't let my husband see it lest he wants one (I'm feeling too selfish lol). This would take me forever!